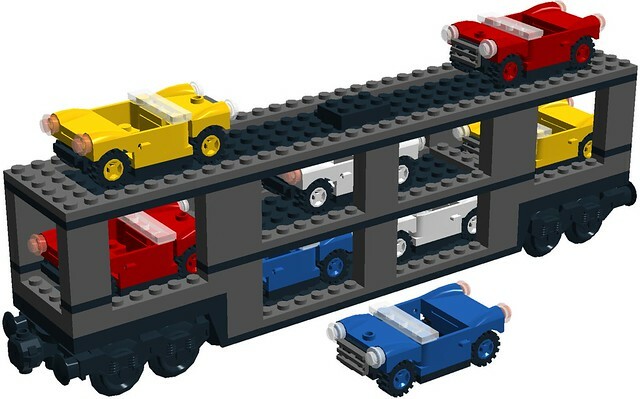 This three level autorack was originally found on LGauge .com as seen here. I redesigned that model and added tiny automobiles to fit into the racks. I also recolored the yellow parts to dark gray to fit better with my other freight cars. There is a single plate worth of clearance between the automobiles and the rack above. 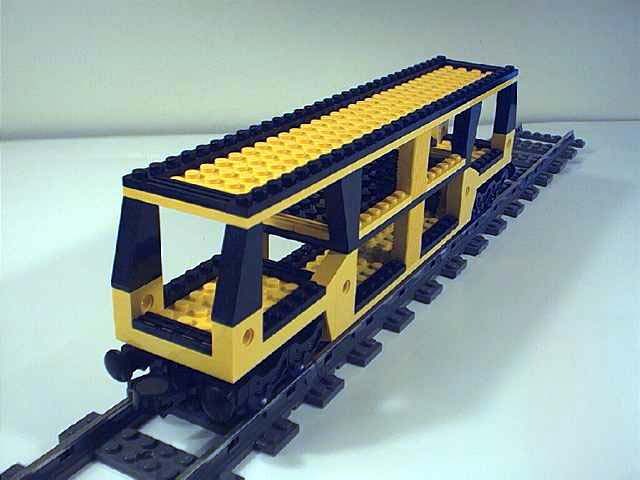 The automobiles are attached using 2 x 3 plates, put they are removable... if you take the roof of the freight car off first! As usual, comments, questions and complaints are welcome, and the ldd file is here.